Another okay stand-alone collection of SpongeBob toons that haven't quite aired yet. Nickelodeon and Paramount have released SpongeBob SquarePants: SpongeBob's Runaway Roadtrip, a 5-toon (with 2 bonus toons) collection from the long-running cartoon's eighth season that should please fans of SpongeBob...who can't wait until November to subsequently see these played to death on cable over the next 15 years. Titles included are A SquarePants Family Vacation, Patrick's Staycation, Walking the Plankton, Mooncation, Mr. Krabs Takes a Vacation (along with Hid and Then What Happens and Shellback Shenanigans), with linking animation built around everyone showing their vacation slides. How much you want SpongeBob now will determine a purchase. Let's go right into briefly looking at these shorts. I don't even remember how many SpongeBob discs I've reviewed, but I do know that it's still the number one "go to" toon out there for my littlest kids when they want a laugh. Sure, there are newer shows out there that capture their attention more readily, but I can't remember a day in the last 10 years or so when I didn't hear that goddamned theme song play at least once on our TV, so I guess that's its own testament to how endearing/enduring this show is proving to be (my old man probably felt the same thing when he heard the Gilligan's Island or The Brady Bunch themes). I suppose, too, that the general consensus among fans of the series is that it's probably peaked (some time ago), and I would have to agree, evidenced by these haphazard releases over the last few years―although SpongeBob SquarePants: SpongeBob's Runaway Roadtrip is a fairly strong effort. The headlining toon, A SquarePants Family Vacation, nicely illustrates that of-late hit-or-miss quality of the series as a whole: it starts off hilariously...and then inexplicably loses its way. Built on the simple premise of SpongeBob and his parents, with Patrick in tow, driving to the Great Barrier Reef for a vacation, A SquarePants Family Vacation begins with the first linking sequence of SpongeBob getting everyone to come over to his house for vacation slides, with the phony promise to his friends of giving them the kind of party each would most love (my favorite is promising Mr. Krabs a "free money" party). Once the road trip begins, the laughs are steady, with the promise of a parody of all those family road trip vacations seemingly offering an unlimited number of gags. 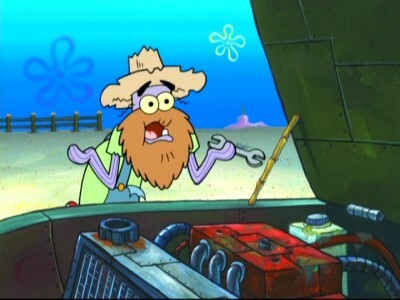 I loved SpongeBob's dad's mild-mannered irritation when his wife loudly allows that he's right about something ("I know I'm right," he quietly grumbles) and the subsequent spectacular car/boat wreck through the outlet mall was beautifully designed. And so what if the Road Song wasn't all that memorable compared to earlier, better SpongeBob songs―the trip to the old coot "Servis Stashun" was worth the whole toon (I loved the mechanic's point-by-point explanation about their engine's troubles...before he formally states, "If she don't want to run, she don't want to run!" That's perfect.). However, just when A SquarePants Family Vacation should really take off, with the pressure-cooker atmosphere of the family trapped/traveling cross country in the car all set up...the toon goes off in another direction, with SpongeBob and Patrick entering a strange land with various familiar obstacles and challenges, before they're pursued by a giant flying insect. The tourist trap scene within this second half sequence is a gem, but it should have been incorporated into the road trip we never get in this last half. 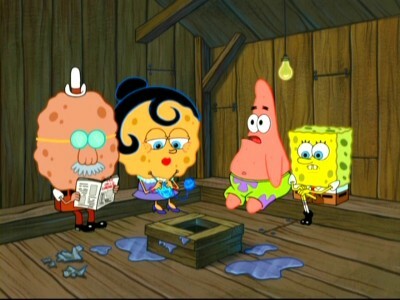 What could have been a classic SpongeBob episode, veers off course. Patrick's Staycation benefits from a shorter running time and generally good gags...until it, too, ends weakly. 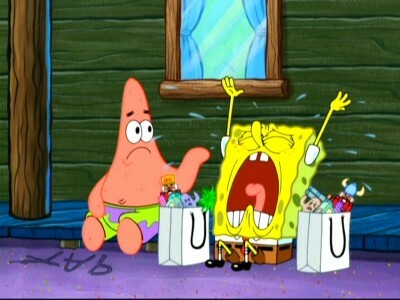 With Patrick tired of his endless grind of eating, sleeping and waking up, he decides he needs a vacation, but with no money, SpongeBob suggests he stay at home, with SpongeBob around to make him feel like he's really getting away from it all. Funny bits include Patrick's maitre d' Todd; Patrick and SpongeBob in speedos, and Patrick's "Who's a Good Boy?" lobster bib at dinner. 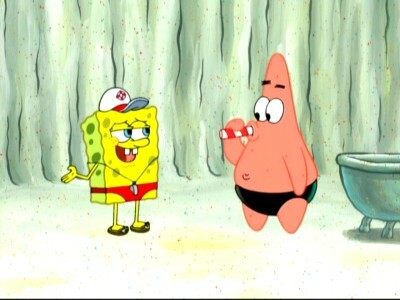 Unfortunately, like all too many SpongeBob shorts of late, no one knows how to wind up Patrick's Staycation on a high note, and it just sort of peters out. 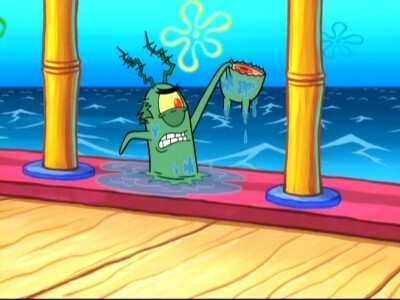 I'm always up for a Plankton episode, and Walking the Plankton mostly delivers on its premise of SpongeBob, Mr, Krabs and stowaway Plankton aboard a cruise, with Plankton there to, what else, steal the Krabby Patty formula. Plankton's paranoid description of the start of a perfect honeymoon is priceless ("Five days of round-the-clock surveillance,"), while Plankton's throwaway lines ("Yah, it's gonna be groovy, baby," "Choke on that, you big...!") and various gags, are solid (among other things, he gets cut in half by the propeller). 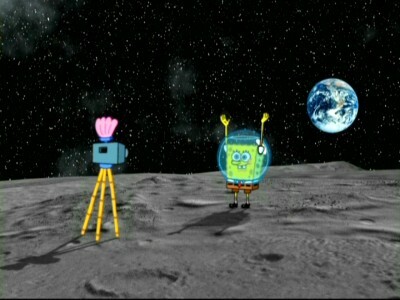 Mooncation is a fairly busy, funny outing with SpongeBob going along with Sandy to the moon. Nothing too original here, but the gags are agreeably large-scale, and they're built well to top each other (SpongeBob pausing his escape lift-off to grab a picture of himself "holding up" the Earth is pretty good). 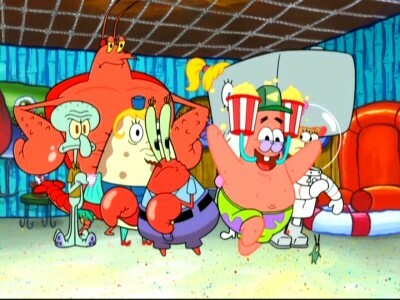 And Mr. Krabs Takes a Vacation has a can't-miss set-up of SpongeBob and Mr. Krabs taking Pearl not to the Teenage Boy Museum (good joke), but the Mint, where Mr, Krabs drools and licks the glass inbetween the coin pits, and where he lies in a fetal position, rocking back and forth, singing Cabaret's Money Makes the World Go Around over and over again (love the visual of SpongeBob putting in replacement neon tubes for Mr. Krabs' eyes). As usual with these SpongeBob SquarePants DVDs, the full-screen, 1.33:1 video transfers for the shorts look terrific, with incredibly bright colors and a super-sharp picture. There were no big compression issues to speak of (although some shimmering is noticeable from time to time). Edge enhancement is acceptable. Two additional toons are included here as "bonuses," although...why not just include them with the others and call it seven? Hide and Then What Happens? is a simple, sometimes brilliant SpongeBob short, particularly when the dimwitted Patrick forgets how to play hide-n-seek, or when SpongeBob does one of his patented "endless repeating" shticks―"Are you sure?" (I love the End of the World Shop and Café, too). And Shellback Shenanigans has some good hospital gags when Plankton disguises himself as Gary to get the Krabby Patty secret formula. Even though the headliner, A SpongeBob Family Vacation, misses the mark halfway, it's still pretty funny...as are the remaining six episodes here. 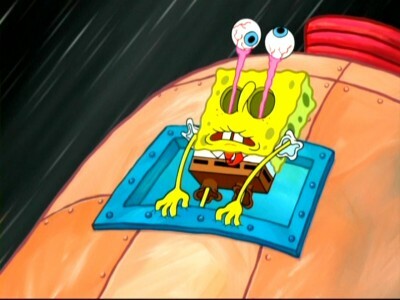 So fans of SpongeBob who need these toons A.S.A.P. 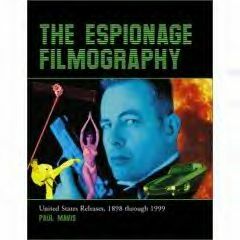 will want to buy this collection. 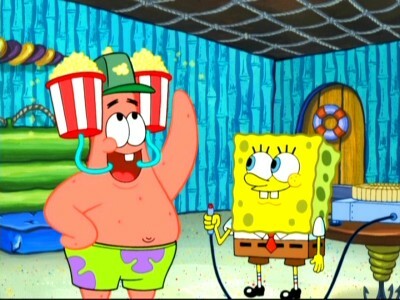 I'm recommending SpongeBob SquarePants: SpongeBob's Runaway Roadtrip.